Deck The Cubes With Boughs Of Plastic (313/365) – Annoyingly Boring? 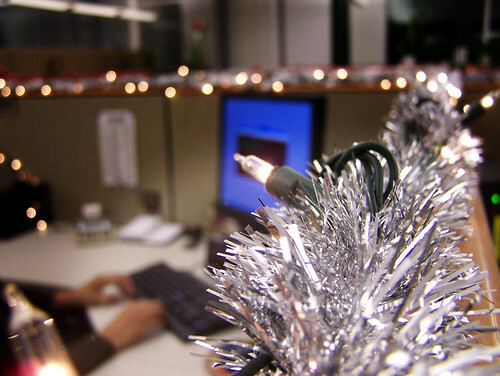 ‘Tis the season for plastic garland and lights around cube walls. Yay! I am not decorating. anything. you can’t make me. Ok, so I did “decorate” my blog by changing my header pic, but that is all you get.